While the Shrien Dewani murder trial, now in its fifth week, is set to be heard in the Cape High Court until December, British investigative journalist Dan Newling has just published his three-year investigation of the case in a new book ‘Bitter Dawn’. He makes some startling revelations. By MARIANNE THAMM. Here’s the thing. If Western Cape Deputy Judge President Jeanette Traverso finds Shrien Dewani not guilty and he gets to fly off home to Westbury-on Trym in Bristol, a free albeit broken man, the South African justice system – or our courts rather – will ultimately be the winner. On the other hand, if the judge finds him guilty based on the evidence presented to the court that he had indeed conspired with four South Africans to murder his wife Anni while the couple was on honeymoon in Cape Town in November 2010, then so too will the justice system be vindicated. Should the first scenario come to pass, we would have proved to the world that the accused, while many may have believed or thought him to be guilty, was found innocent due to a lack of irrefutable evidence and not sent to jail. That’s the way it works. Justice would have been seen to be done. The same counts for scenario B if Shrien Dewani is led down to the “gat” below the court in shackles to be later whisked off to his new home in whichever prison has been designated to receive him. So, while the country’s justice system would have been tried and tested in the international court of opinion, what would have been exposed as the weakest link, should Dewani be found not guilty, is the parlous state of South African policing. Because these are high-profile and sensational cases, like Oscar Pistorius, Shrien Dewani has his vehement detractors as well as rather less vocal supporters. There are millions of armchair forensic and legal experts in both the UK and South Africa who argue from their corner, each claiming to know the truth about the senseless and cruel murder of Anni Dewani who was left to die alone in the back seat of a taxi in a strange land, far from home. What should have been one of the happiest moments in her life, her honeymoon, ended in horror. Newling is aware of all these charges and addresses them in his book, which is a compelling read based on information “obtained in open court hearings held in the UK and South Africa, from documentary material provided to these courts, from publicly accessible archives and websites, from documents obtained under Freedom of Information laws or from material published elsewhere”. In his introduction, however, the author explains tantalisingly that he obtained additional information from three sources interviewed “off the record” and whose identities he agreed to keep secret. Newling also states that no one in the Dewani family was prepared to be interviewed on the record for the book. Newling, who had relocated to Cape Town in September 2010, first caught wind of the story on Sunday 14 November, the day Anni’s body was discovered. He was, he writes, “returning to my central Cape Town home from a lazy Sunday lunch at a wine farm outside the city.” While other journalists in the city frantically tried to piece together the story to file for international media, Newling made his way to the Cape Grace Hotel where he knew Shrien and Anni had been staying. Rumours at the time were that Shrien had checked out to avoid the media frenzy and was now staying in an unknown guesthouse. But in the lobby of the Cape Grace, Newling says he encountered Dewani. After turning down an initial interview Dewani returned an hour later and gave Newling the first 45-minute face-to-face encounter. It was an interview, he says in the book, that was to prove crucial in his later investigation into the crime. Newling is careful, at the conclusion of the book, not to reveal his thoughts on whether Dewani is guilty or not. Instead he has set out a well-researched and highly readable narrative which also contextualises the particular South African setting in which the murder occurred. What is particularly poignant is Newling’s portrait of Anni Hindocha, her family, where she grew up, what she liked. This provides a welcome sense of who Anni Hindocha was, an aspect that has been so clearly absent in the trial currently being heard in the Cape High Court. The author also attempts to paint a more nuanced portrait of Shrien Dewani: a man, Newling writes, riddled with contradictions. In the book, Newling explores crime statistics, the history of the transformation of the SAPS, the dissolution of the Scorpions, the charging of police chief Jackie Selebi, as well as South Africa’s investment at the time – 2010 – in showing the world that the country was more than capable of hosting a successful 2010 Fifa World Cup. The author also addresses various political currents that underpinned former police chief Bheki Cele’s initial response that Shrien Dewani had been guilty of plotting to kill his wife. In the book Newling also refers to other criminal cases, like the murder of Inge Lotz, highlighting the country’s problematic detective and forensic work. 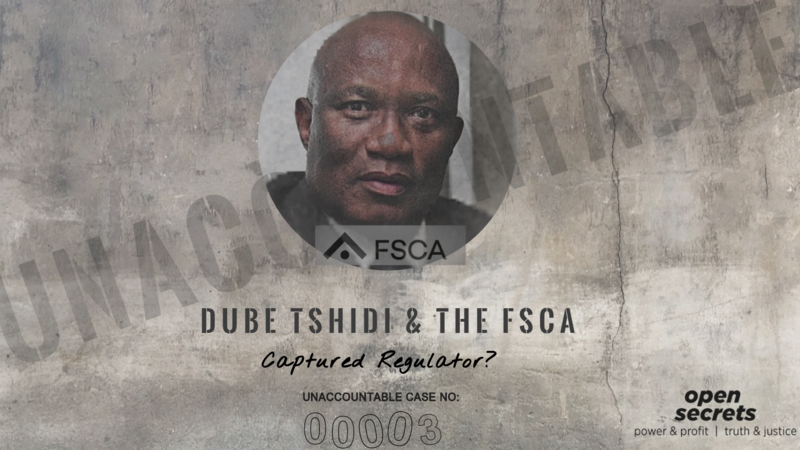 Newling is critical of Western Cape head of Public Prosecutions, Rodney De Kock’s penchant for section 105a Plea and Sentence Agreements – as offered to driver Zola Tongo. The writer is of the opinion that Section 105a plea bargains, as offered in other high profile South African cases including ANC Chief Whip Tony Yengeni, businessman Mark Thatcher as well as Clinton Nassif and Glenn Agliotti in the Jackie Selebi matter, could be used to “hide the truth” and also “short circuit the adversarial model of justice” which pits the prosecution against the defence so that a judge can weigh the evidence. Newling recounts how after police had managed to obtain a confession from one of Dewani’s alleged co-conspirators, hitman Mziwamdoda Qwabe, he requested, at his bail hearing in 2011, that the statement be retracted, alleging he had been assaulted. Fellow hitman Xolile Mngeni later during his trial also claimed that he had been tortured in the basement of the Bellville offices of the Hawks prior to making his confession. “They took plastic bags that are used for evidence, then they took my hands, tied that to the back of the chair. They put pepper spray into it, then then put that onto my face and I vibrated as if I was fitting,” said Mngeni. An interesting factoid Newling uncovered was how the South African authorities reached statistics on the numbers of assassinations in the country. Reviewing literature, Newling says, “I started to develop the feeling that South Africa, my beautiful new home, was suffering from an epidemic of contract killers.” He had counted, he says, a total of 31 confirmed “contract killings” in South Africa over five years from 2006 to 2010 which equated to an average of 6.2 a year, or one hitman murder every two months. “This seemed to me rather a lot,” writes Newling. Even odder, he noted, was that in 28 of the incidents in which hitmen had been convicted had been as the result of a confession. In the end he concludes that South Africa experienced a high number of contract killings not because the country was infested by hitmen, but because the SAPS and the NPA determined many ‘ordinary’ murders to be professional assassinations. “They did so because the authorities could then ‘solve’ these cases by offering suspects generous plea bargain deals in return for their confessions. The killings were disproportionately found to have been committed by Indians because the detectives investigating these cases held subconscious racist views which meant that, in any murder involving an Indian, the officers’ reflex was to seek a ‘hitman’ solution. Bitter Dawn is a comprehensive and highly readable account of one of the most baffling murders to have occurred in South Africa. Newling has meticulously researched the various contradictions and anomalies in the confessions and statements from Dewani’s fellow alleged conspirators as well as Dewani’s own explanations of the events of the night. Photo: A crop of the book cover.